One trip to a Wegmans is enough to know that you’re not exactly dealing with your run-of-the-mill grocery store. It’s hard to put your finger on, but the whole experience feels so much more as if you’re walking around a traditional market lined with artisan stalls than a standard supermarket made up of shelves and aisles. And if you can understand what it is about this that makes it so appealing, it’s safe to say that the Wegmans application process is ready and waiting for you. These days, there are over one hundred of these unique stores all across the country, and the workforce within each is as diverse and richly talented as it gets. You can hone your skills on a single department or branch out and find yourself supervising a whole store. The Wegmans application is for those who understand what it means to expect, demand, and deliver more. 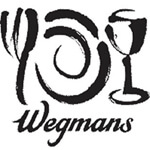 You will find the official careers page over at https://www.wegmans.com/webapp/wcs/stores/servlet/CampaignLanding?storeId=10052&catalogId=10002&langId=-1&clear=true&partNumber=CAMPAIGN_45795, where you can find out more about getting involved and filling out your first Wegmans application online. Once you’ve had a read, the next step is to take a look at the locations page over at http://jobs.wegmans.com/ice/map/findlocation, where you’ll be able to narrow down your Wegmans careers search by way of geographical location and the kind of job you’re looking for. As is the case with most, you’ll need to open an account before being able to fill out and submit your Wegmans online application, but this doesn’t take long to do. And once you have your account up and running, you’re then able to return to it and complete as many additional applications as you like without having to fill out all the same details again. There are so many departments spread across each store that you can target your Wegmans job application in a number of ways. For example, you may want to take the post of cashier, grocery clerk, customer service clerk, cook, dishwasher, floor supervisor, or store manager. If looking to complete a Wegmans job application form for an entry-level post, chances are you’ll begin at clerk or assistant level. You may also start out as an employee of one of the chain’s in-house restaurants, which have proved massively successful all across the United States. In any and all cases, hourly rates vary between $8 and $11 per hour—all in accordance with age, experience, department, and working hours. Supervisory and management salaries vary enormously, though you can go as high as $50k and upward for those reaching the very top. While the Wegmans application online form makes it so much easier for you to apply, you need to make sure you are still incredibly careful when it comes to attention to detail. The reason being that there’s no excuse at all for submitting an online application that is flawless, so if there are any spelling mistakes, grammar issues, or general discrepancies, chances are it won’t get you anywhere. The experience of a Wegmans store is wholly unique, so should it, for any reason, not be your chosen place to shop, then you really need to go see how it works prior to starting your Wegmans application form. It’s possible to give your application for Wegmans a shot in the arm by heading down to the store you’re applying to and introducing yourself to those in charge of recruitment. This can be especially beneficial if you’re trying to enter at a supervisory or management level. You will be offered the option of signing up for job alerts when making your initial Wegmans employment application, which means that from then on, you will be notified as and when any suitable jobs become available. This is essential for getting ahead of the game and making sure you never miss out on a golden opportunity. Wegmans is consistently rated as one of the best companies in all of the United States to work for and dishes out the benefits like there’s no tomorrow. The firm is dedicated to looking after the health and well-being of each and every one of its employees with generous health care benefits, wonderful working conditions, discounts across the store, paid leaves, and the kind of training that’s just too valuable to put a price on. Demonstrate your knowledge about Wegmans beyond the obvious, and you might just come out on top for your efforts. For example, did you know that most stores host monthly cooking events in order to teach those from the community how to whip up the most amazing and healthy dishes at home for themselves? There’s even a teen culinary camp for those looking to get started at the earliest age possible, many of whom go on to some truly inspiring careers.